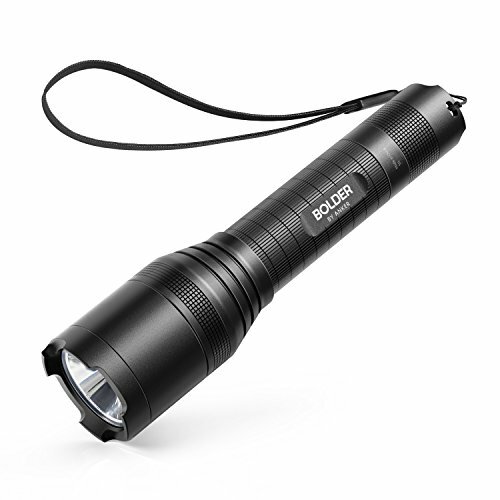 Anker Bolder LC40 Rechargeable Flashlight The Rechargeable Tactical Flashlight From ANKER, the Choice of 20 Million+ Happy Users • Industry-Leading Technology • Worry-Free Warranty • 99% Positive Feedback Convenient Size and Comfortable Use Compact but also comfortable to hold, with a straight, anti-slip design that fits well in your hand or pocket. Home or Away Perfect as a backup at home or a necessity outdoors. Great for your drawer, glovebox, or tent. 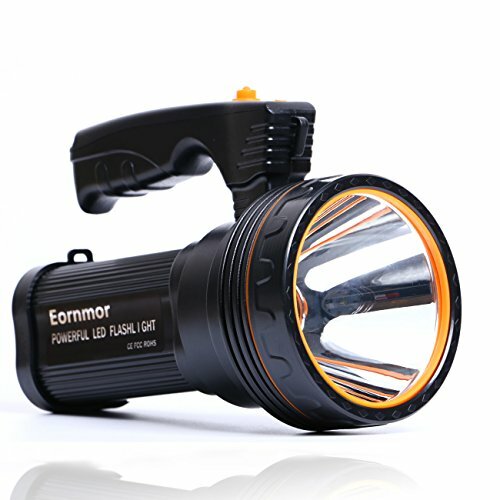 Stands on-end for use as an emergency room or tent light. Cree LED Utilizes a genuine high-performance, high-efficiency Cree LED XP-G2 (50000-hour lifespan) for high brightness and excellent battery life. Worry-Free Warranty At Anker, we believe in our products. That's why we back them all with an 18-month warranty and provide friendly, easy-to-reach support. Note • Warning: Flashing lights may induce seizures in individuals with photosensitive epilepsy. 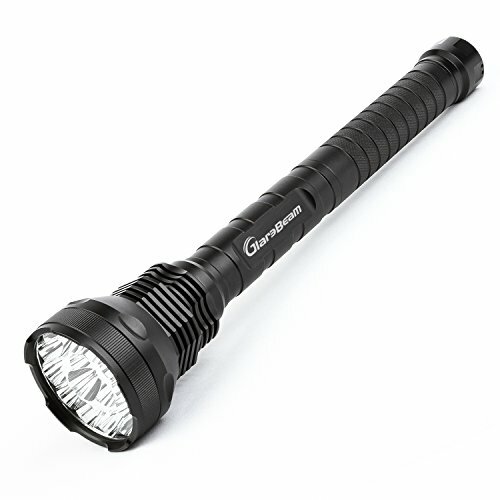 Be cautious when activating the flashlight or when changing to strobe mode. Never point the flashlight in anyone's eyes and read the manual carefully before use. • Does not feature adjustable focus. 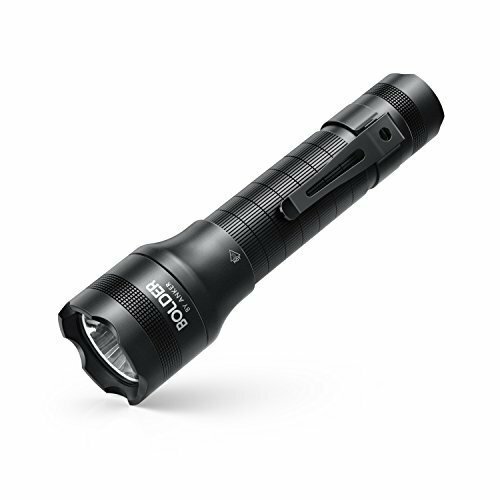 Specification: • LED: CREE XP-G2 LED with a lifespan of 20+ years of run time. • Runs on: Wowtac li-ion 18650 battery (3.7V/2600mAh). 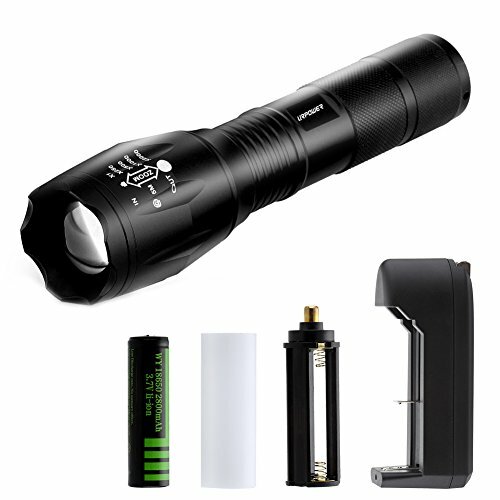 • Working voltage: 2.7V-4.2V • Output & Runtime (Tested with Wowtac li-ion 3.6V/2600mAh) Strobe(550 lumens /4 hrs), Turbo(550 lumens/3.3 hrs), High(200 lumens /5.5 hrs), Medium(63 lumens /19 hrs), Low(10 lumens /5.5 days). • Peak beam intensity: 10520 cd (max.) • Max beam distance: 205 meters (max.) 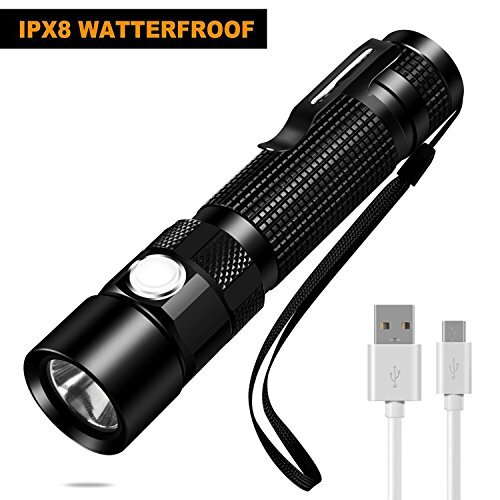 • Waterproof to IPX-7 Standard (1 meters). • Impact resistant: 1.5 meters. • Dimensions: 136mm*25.4mm • Weight: 86g (excluding battery). 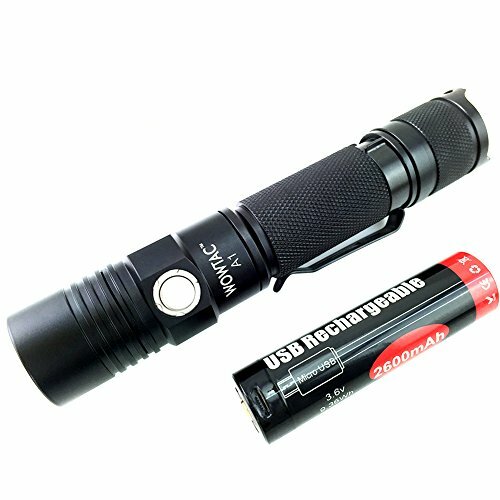 • Accessories: USB Rechargeable Li-ion 18650 battery*1, Cable*1,Spare O-ring*2, Pocket Clip*1 Operation • Turn ON/OFF Press the tail switch to turn the light on/off. • Change Modes When the light is on, one click the side switch within 2 seconds to cycle through low, medium, high, Turbo and SOS. The mode will be Low if the clicking is over 2 seconds. When the light is ON, Long Press to access Strobe. • Memory Function The light will turn on in the last mode accessed, SOS and strobe will turn on in the Turbo mode. • Low Voltage Indication The light will blink twice if the battery is low. 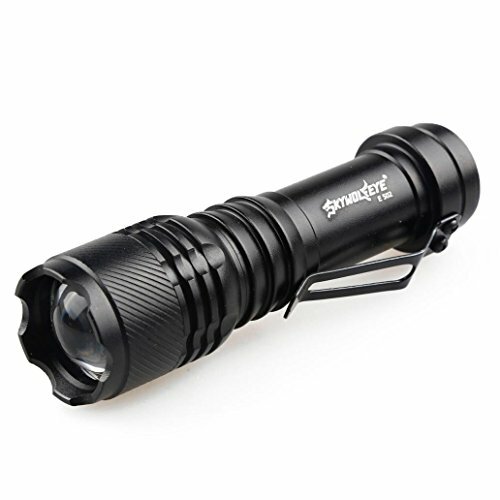 WARM TIPREMOVE THE INSULATION SHEET OF REAR COVER BEFORE USEProduct details: Product model: S2C Weight: 81g Model of LED beads: cree XPG-R5 Wattage: 3.0-4.2 V Battery: 1x18650 lithium battery Material: Aluminum Alloy Common modes: High/Medium/Low/Strobe/SOS More Details 1, Imported America Cree XPG-R5 Led lamps, life time can reach to 100,000 hours,irradiation range can reach to 100 meters 2, Using 18650 lithium battery as the driving power, 12 hours duration, lithium battery can be recycled more than 1000 times 3, 5 Lighting modes: strong light, mid-range, weak light, burst flash, SOS 4, Charger : USB direct charger 5,Aviation high strength aluminum alloy,surface by hard oxidation,drop resistance,press resistance,anti-corrosiveness to lengthen the life time of flashlight. 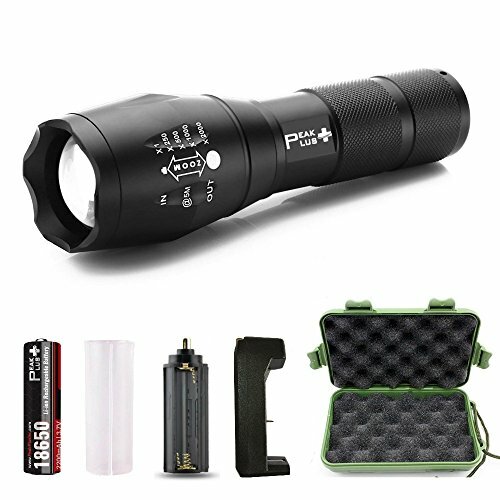 6, Daily waterproof，All interfaces adopt waterproof sealing ring 7, Charging Single: Red flash means charging, Green light means charging finished. At Beike, we stand strongly behind the craftsmanship of our brand products. That's why we back the with 45 days money back and one year hassle free guarantee and provide friendly, easy-to-reach support. 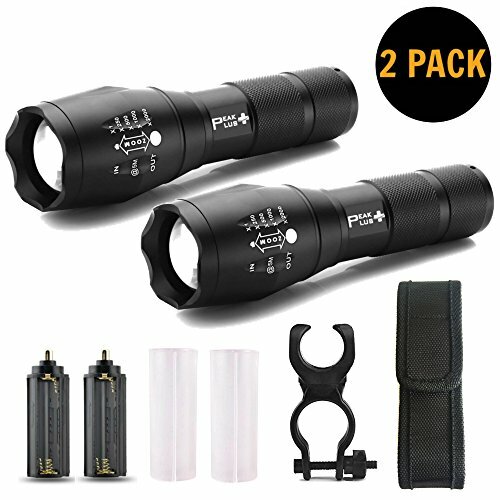 Compare prices on Super Bright Flashlight Torch at ShoppinGent.com – use promo codes and coupons for best offers and deals. Start smart buying with ShoppinGent.com right now and choose your golden price on every purchase.